This is cruising for passionate travelers with a yearning for the finest and no one to impress. With Oceania, you’ll relish the freedom to be yourself, completely relaxed and comfortable as you cruise in casually elegant surroundings aboard any of its sleek sister ships, Regatta, Nautica, or Insignia. There’s no requirement for evening gowns or tuxedos here, just what’s appropriate attire for a top-notch country-club setting that demands (and accepts nothing less than) absolute excellence in service, on-board amenities, and cuisine. Each of the 684-passenger ships has been newly refitted to exacting standards, with Oceania’s signature Tranquility BedSM in each stateroom, superb-yet-unpretentious service, and highly celebrated cuisine orchestrated by renowned chef, author, and food columnist Jacques Pépin. A full 70% of the spacious staterooms and suites have private teak verandas, perfect for catching some sun along with your morning cup of coffee. If you’re fortunate enough to reserve an Owner’s, Vista, or Penthouse Suite, you’ll be attended by your personal butler who will gladly unpack your bags, deliver champagne to your veranda, even draw you a lavendar-infused bath. The world outside your window will change daily, as you slip from one delightful port to another with no concern other than which spa treatment to succumb to, or which of the ship’s four acclaimed restaurants to dine in that evening, or whether to visit the ship’s casino or catch some hot jazz later in the Horizons lounge. 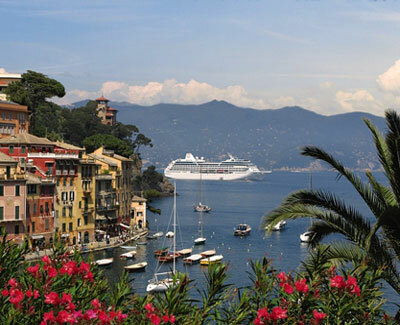 When you do debark from your floating enclave, you’ll be treated to wonders in virtually every corner of the globe, such as Northern Europe & Scandinavia, the Black Sea & Mediterranean, Asia, South America, Australia/New Zealand, the Panama Canal & the Caribbean as well as Mexico & the Sea of Cortez.